Cloud backup is the easiest way to get the security of off-site backup for your important files. Here's how to choose and use one of these services. Cloud backup is exactly what it sounds like. Your data is stored in an online repository, where it’s accessible to you when you need it. It works like this: You download a desktop client to your PC, select the folders you want to back up, and that data uploads to the service on a set schedule. Then if catastrophe strikes, such as a house fire or robbery, you have a clean, up-to-date copy of your data stashed on a server somewhere, all safe and sound. Cloud backup does not eliminate the need for a local backup on an external hard drive of some sort, but it provides an easy solution for keeping another backup off-site. Your other options are to circulate a few hard drives that you keep in a safe at the office (a pain to remember), or run a remote server (technically challenging). Pay a few bucks a year to store your hard drive data online with a third-party provider is the easiest choice for most people. Finding a service is easy enough, too. There’s Backblaze (the service I currently use), Carbonite (a service I have used), Mozy, SpiderOak (another service I’ve used), and many others. The hard part is understanding how to use cloud storage and familiarizing yourself with some of the details you might not think about. 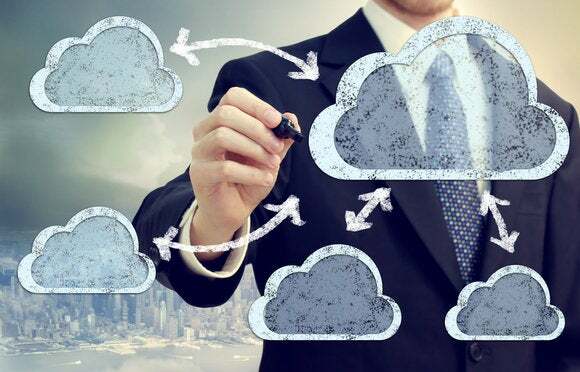 It’s important to clarify the difference between a cloud backup service and a sync service like Dropbox or Google Drive. If you need a few files always in sync among multiple PCs or mobile devices, you’d be better off relying on a sync service. With a backup service, you could definitely pull out individual files in a pinch, but the user interface is usually a little cumbersome for grabbing files compared to, say, Dropbox’s. Most mainstream cloud storage backup services offer what’s essentially unlimited backup, though limits of some sort will apply. The only exception to that rule is SpiderOak, which sets data storage limits but offers a higher degree of encryption and security than most services. Skip any cheap service that limits your data to 500GB or 1TB. Take the time to figure out what the rules are for your backup service. In general, online backup services let you save any personal files on your PC. Some services also let you back up connected drives as part of the price, while others will charge extra for it. Even if your plan does allow external hard drives, that doesn’t mean you can back up home servers or RAID boxes with multiple hard drives. You’ll also have to reconnect your external hard drives regularly to avoid having your saved content deleted from your cloud backup. Cloud backup services typically encrypt your data in transit and then encrypt it on their servers. That’s a good start, but most services also offer you the option to encrypt your data using your own key (a password). If you lock down your data with extra encryption, then only you have the ability to decrypt your data should it fall into the hands of a third-party such as a hacker or law enforcement. The downside is that if you lose the password to decrypt your data, you’ll lose your backup and have to start all over again. In my opinion, the best approach is to use encryption and then save your password in a password manager so it won’t get lost. Those are probably the biggest issues to think about as you dive into cloud backup. The only other thing to keep in mind is that your first-time backup usually takes a long time to finish. You can expect it to take at least a few days, but in my experience it takes at least a week, if not closer to two. It all depends on your connection’s upload speed, as well as any throttling limits on the service’s side. And remember, even with a cloud backup you should still maintain a physical, local backup of your data using an external hard drive.